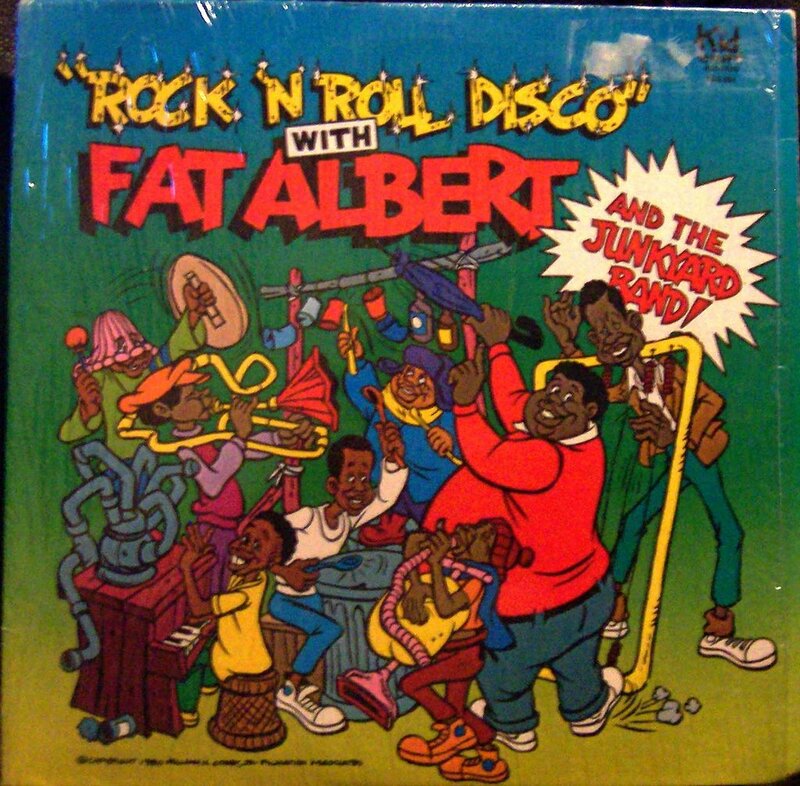 This Fat Albert album from 1980 is different than the one I've seen offered elsewhere. 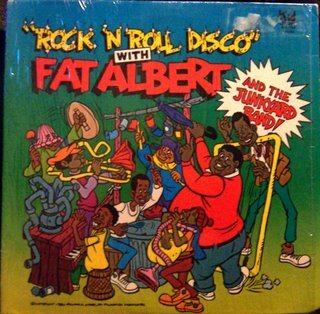 It's still got some great songs from Fat Albert and his gang. This one mentions that the music and lyrics are by Dean Andre and Jeff Michael, just in case you wanted to know that. I include a scan of the back cover as well which lists the character's names with their pictures, which would come in handy if you don't know your Dumb Donald (the guy with the pink hat with the eyeholes cut out of it) from your Weird Harold (the tall skinny guy). Anyway, hope you enjoy this! by which i mean that the pictures would be helpful. I just found the file where I had downloaded this back in August 2006, and fo some reason it only had tracks 1 - 6 in the file. I just found a sealed copy of this LP last week. I was going to share it with you, but what tracks I have from your LP sound pretty good. From the cover scans it looks like yours might have been sealed as well?